The current drug development roadmaps are prohibitively long, on the order of 10-15 years, and cost billions of dollars. The success rate of development from in vitro assays to regulatory approval is less than 5 percent. The two fundamental challenges that impede drug development are: 1) Conventional approaches cannot pinpoint the best in vitro drug composition and dose ratios that simultaneously mediate the highest efficacy and lowest toxicity from a large search space. 2) Once preliminary doses are determined using in vitro tests, the translation of these doses to in vivo applications is performed by matching the PK or by weight/surface area scaling or by determining the maximum tolerated dose (MTD), which implicitly preclude optimization. These are the primary causes of developmental failure. We have discovered that the drug-dose inputs are correlated with the phenotypic outputs with a Parabolic Response Surface (PRS). With a few calibration tests to determine the coefficients of the quadratic algebraic equation governing PRS, PRS dictates the composition and the ratio of a globally optimized drug combination. In vitro drug compositions and ratios will not translate into successful preclinical or clinical validation. Since only a very small number of tests are needed, we can re-optimization of drug-dose ratios in animal and clinical tests. Re-optimization has already been successfully demonstrated to converge upon key drugs/combinations of interest. Based on the PRS platform, Phenotypic Personalized Medicine (PPM) can realize unprecedented levels of adaptability to identify the optimized drug combination for a specific patient, even if changes to the regimen and dose/drug optimization are needed in a continuous basis. PRS is an indication agnostic and mechanism free platform technology, which has been successfully demonstrated in about 30 diseases for children and adults. Chih-Ming Ho received Ph.D. from The Johns Hopkins University. He currently is the Distinguished Research Professor. He served as UCLA Associate Vice Chancellor for Research from 2001 to 2005. His research interests include personalized medicine, micro/nano fluidics, and turbulence. 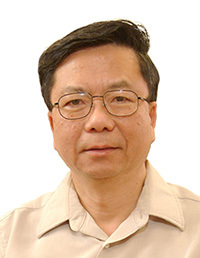 In 1997, Dr. Ho was inducted as a member of the US National Academy of Engineering. In the next year, he was elected as an Academician of Academia Sinica. In 2014, Dr. Ho received Doctor of Engineering Honoris Causa from Hong Kong University of Science and Technology. Dr. Ho holds ten honorary chair professorships including the Einstein Professorship from Chinese Academy of Science. Dr. Ho was elected Fellow of the American Physical Society, American Association for the Advancement of Science, American Institute for Medical and Biological Engineering, American Institute of Aeronautics and Astronautics as well as 3M-Nano Society.